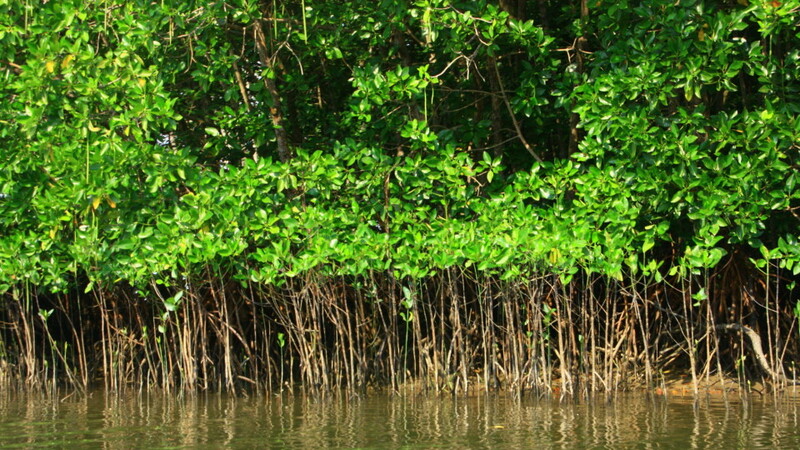 In Malaysia, mangroves are found along coastal areas, river mouths, around islands and areas influenced by tides. They act as a shield, protecting the land from strong waves and winds and control erosion. Besides this, they provide a source of revenue not only to the local communities but also for the country. They also provide great scenery for recreational purpose. By conserving and restoring these wetlands we help to protect the coastlines, protect the unique biodiversity that they support and ensure that the livelihood of the local communities is sustained. They are suitable nursery grounds for fishes, prawns, crabs and shell fish. They are also carbon stores. Unfortunately, many of these areas are being cleared to make way for aquaculture or land reclamation work. The wood is harvested for building material and used as foundation to build houses. 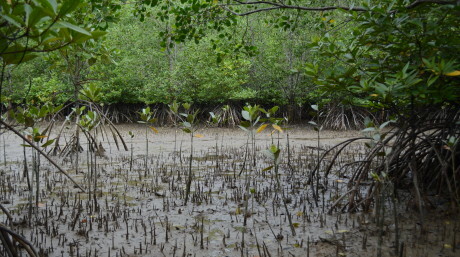 Due to the destruction of the mangroves, flooding and erosion occur along the coastal areas. There is also salt water intrusion. Cockles, a type of shellfish, which is commonly used in a local dish (fried kueh tiau) in Malaysia, are difficult to get now because they depend on organic materials from the mangroves for their food and these have been destroyed! Fish catch has also been reduced considerably and this has affected the livelihood of fishermen. How do we promote conservation of mangroves? We work mostly with the local communities as they rely on the mangroves for their survival. We educate them on conservation and rehabilitation and why they should ensure that these areas are protected. We encourage them to carry out Ecotourism activities which will generate interest in them to conserve such areas. Through eco-tourism, people will learn to appreciate nature more. We also work together with the Ministry of Natural Resources and Forestry Department in Malaysia to raise awareness and promote conservation and rehabilitation of mangroves. We also promote this to corporate sectors for example, Cargil Malaysia. Hard structures like dams, sea walls, and canals have boosted coastal development, but also resulted in the loss of valuable coastal wetlands and their services. Using the Building with Nature approach, we aim to catalyse a fundamental shift in coastal and delta planning. Through advocacy, supported the designation of 3 coastal wetlands as Ramsar sites – Pulau Kukup, Tanjung Piai and Sungai Pulai. Engage with government agencies to carry out mangrove replanting and restoration activities to promote coastal resilience. Supported ecotourism in Kuala Gula, Perak as alternative livelihood to reduce mangrove conversion. In the coastal wetlands of Linting, Johor, we supported alternative livelihood activities to reduce overfishing and alternative methods for cooking, and salt drying, reducing the need for mangroves as fire wood.